Manchester Science Festival – Reader! Read Faster! …how’s this for a beautiful place to have a bookstall? 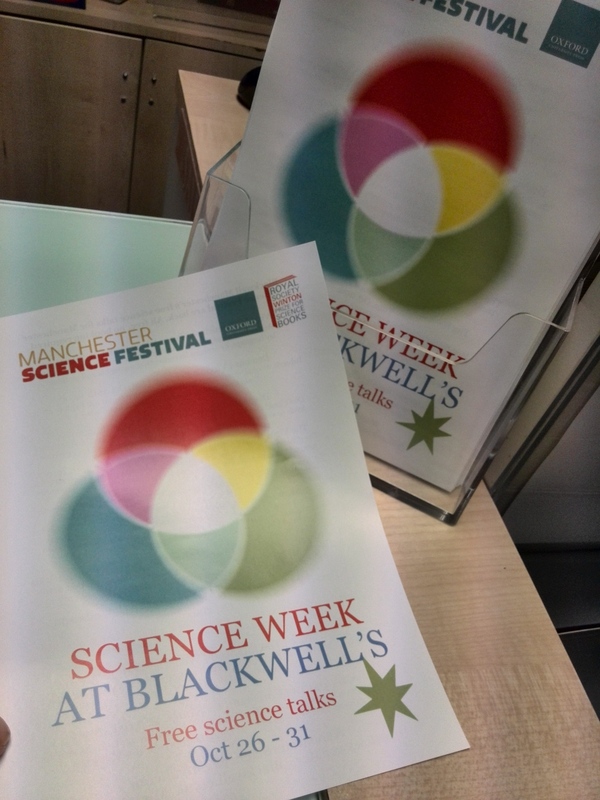 Click here to see all Manchester Science Festival events at Blackwell’s. The Compatibility Gene. A free Manchester Science Festival talk. Mon 28 Oct 2013 6.30pm here in Blackwell’s. Ever had a bad date or called off work with the worst cold in the world? Daniel M Davis tells a scientific adventure story set in a new field of genetic discovery – that of the crucial genes that define our relationships, our health and our individuality. We each possess a similar set of around 25,000 human genes, yet a tiny, distinctive cluster of these genes plays a disproportionately large part in how our bodies work. Daniel, a foremost immunologist, argues these few genes hold the key to who we are as individuals, how we combat disease, how our brains are wired and even how likely we are to reproduce. This event is free and will last an hour. No booking required. 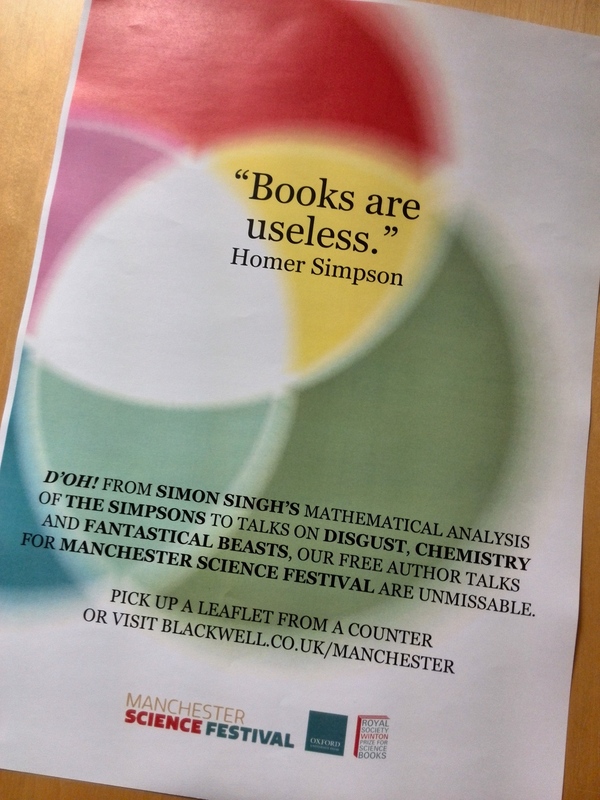 For all Manchester Science Festival events at Blackwell’s, click here. Please note that our 31st Oct Cosmic Tourist with Chris Lintott and the Royal Society Winton Prize has been CANCELLED due to circumstances outside our control. Apologies. 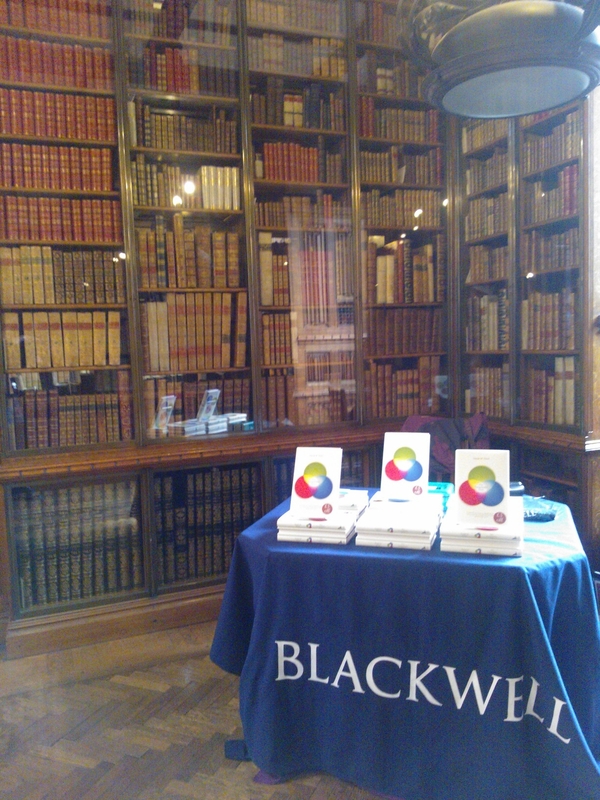 For other Manchester Science Festival events at Blackwell’s, click here. Bird sense: what it’s like to be a bird. A free Manchester Science Festival talk in association with the Royal Society Winton Prize. Wed 30 Oct 2013 6.30pm here in Blackwell’s. What is it like to be a swift, flying at 100km an hour? What’s going on inside the head of a nightingale as it sings? Our affinity for birds is often said to be the result of shared senses – vision and hearing – but how do their senses compare with ours? What about a bird’s sense of taste, smell, or the ability to detect the Earth’s magnetic field? Tim Birkhead, shortlisted author for the 2013 Royal Society Winton Prize for Science Books, reveals what it’s like to be a bird and how they interpret the world. The book of barely imagined beings. A free Manchester Science Festival talk in association with the Royal Society Winton Prize. Tue 29 Oct 2013 6.30pm here in Blackwell’s. We don’t have to invent animals like the unicorn or the manticore to encounter the surreal, the weird and the wonderful. From the Gonodactylus, a crustacean the size of a gherkin with genital-like appendages that can smash your arm, to the Quetzalcoatlus, a flying lizard as big as a Spitfire, our world has produced creatures more astonishing than anything we can dream up. Join Caspar Henderson, shortlisted author for the 2013 Royal Society Winton Prize for Science Books, as he uncovers the beauty and bizarreness of a host of barely imagined – but very real – beings.